Freedom is the freedom to be the self, the freedom to live in the truth despite all circumstances. 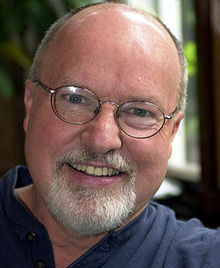 Richard Rohr O.F.M. (born 20. March 1943 in Topeka, Kansas) is a Franciscan friar ordained to the priesthood in the Roman Catholic Church in 1970. He is an internationally known inspirational speaker and has published numerous recorded talks and books. God does not love you because you are good, God loves you because God is good. "Politics and Spirituality conference, Washington D.C. 2006"
Power should be entrusted only to those who do not seek it. The human ego prefers anything, just about anything, to falling, or changing, or dying. The ego is that part of you that loves the status quo—even when it's not working. It attaches to past and present and fears the future. We worshiped Jesus instead of following him on his same path. We made Jesus into a mere religion instead of a journey toward union with God and everything else. This shift made us into a religion of 'belonging and believing' instead of a religion of transformation. Religion has not tended to create seekers or searchers, has not tended to create honest, humble people who trust that God is always beyond them. We aren’t focused on the great mystery. Religion has, rather, tended to create people who think they have God in their pockets, people with quick, easy, glib answers. That’s why so much of the West is understandably abandoning religion. People know the great mystery cannot be that simple and facile. Group-think is a substitute for God-think. The belief is that God is found only by our group. The next step is to establish that identification with our group as the only way to serve God. The world, the system, moves forward out of fear. That’s why they have to threaten us to play the game. We’re threatened with loss of job, money, reputation, or prestige. It’s all based on fear. We have defined freedom in the West as the freedom to choose between options and preferences. That’s not primal freedom. That’s a secondary or even tertiary freedom. The primal freedom is the freedom to be the self, the freedom to live in the truth despite all circumstances. That’s what great religion offers us. That’s what real prayer offers us. That’s why the saints could be imprisoned and not lose their souls. They could be put down and persecuted like Jesus and still not lose their joy, their heart, or their perspective. Secular freedom is having to do what you want to do. Religious freedom is wanting to do what you have to do. What we know about God is important, but what we do with what we know about God is even more important. Too often people think it is necessary that we all see God in the same way (which is impossible anyway), but what is really necessary is that we all follow God according to what God tells us. The fact that God has given us so many different faces and temperaments and emotions and histories shows us how God honors each unique journey and culture. God is not threatened by differences. It’s we who are. Prayer must lead us beyond mind, words, and ideas to a more spacious place where God has a chance to get in. So much is happening on earth that cannot be fixed or explained, but it can be felt and suffered. I think a Christian is one who, along with Jesus, agrees to feel, to suffer the pain of the world. Much of my criticism of religion comes about when I see it not only affirming the system of normalcy but teaching folks how to live there comfortably. It just increases our “stuckness” in the old world. As does a lot of poor psychotherapy. Cheap religion teaches us how to live successfully in a sick system. This page was last edited on 17 February 2019, at 09:46.